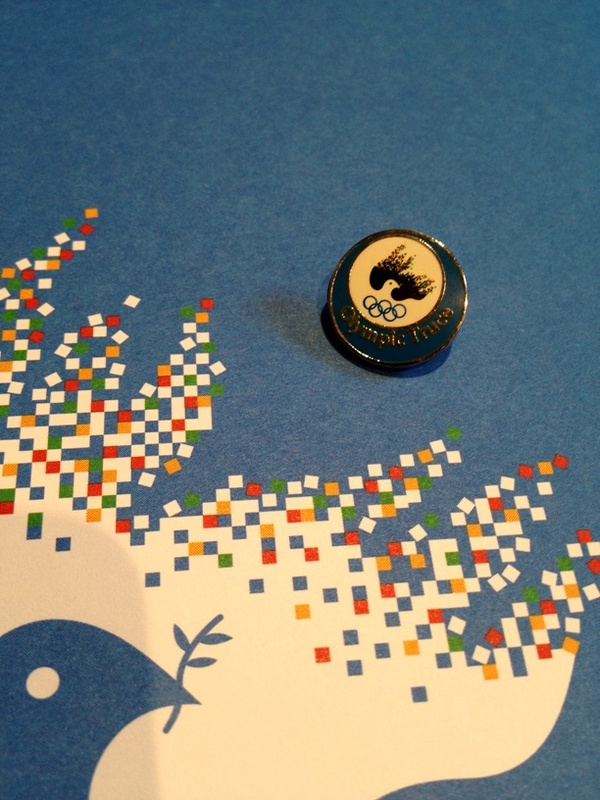 Everyone was given an Olympic Truce pin badge, along with an information pack. The London Peace Network was given extra badges, so if you would like one, please contact us. Dr Filis, the Director of the International Olympic Truce Centre, invited us all to join him at the Open Forum this afternoon. The distinguished panel included Lord Michael Bates (who spoke at our event at the Imperial War Museum), Willi Lemke (special advisor to the UN Secretary General and who spoke at our Millennium Bridge event), Hugh Dugan (US Truce Foundation) and Fani Palli Petralia (Vice-Chairperson of the International Olympic Truce Foundation). The Truce Wall in the Athletes’ Village has filled up with signatures already – Hugh suggested another couple of panels are added, generating a news story about the Truce which might be a welcome break from reports of the medal count. The situations in Syria and Burma were of great concern to all present and one journalist, Evdoxia Lymperi of ERT3, asked what practical impact the Truce has had this time around. The UN resolution was signed and co-sponsored by all 193 member states of the UN, yet some of the signatories show no sign of calling even a brief cease-fire during the Games. The projects which LBFN and the London Peace Network have proposed are all (bar one) in conflict or post-conflict zones. We are very pleased that the twinned UK-Pakistan project has been approved by the Foreign Office. We hope to hear good news of twinned activites between local communities in the UK and Iran, Iraq, Ghana and Jamaica. We are working on a proposal for Sri Lanka. On behalf of the Network, I asked how the experience and expertise of local religious and community organisations (often at the sharp end of violence both in the UK and overseas) could be used to build a stronger Olympic Truce every four years. The response from Dr Filis and Willi Lemke was very positive and we will be taking this forward with both the IOTC and the UN.